Last year, I was able to attend 18 DevOps conferences. I saw some awesome presentations, met incredible people and expanded my knowledge of the latest practices at each conference. While my role as the DevOps Advocate for Sonatype enables me to get out to all of these conferences, not everyone has the time, the budget, or the approval to get to even one event a year. This is what led me and my colleague, Mark Miller, to found the All Day DevOps conference last year. Our dream was to build a DevOps conference for the masses. We decided to offer 57 online sessions over 15 hours and 15 times zones, and registration would be free. Our initial goal was to see if we could find 1,000 people to attend (because that sounded like a big number at the time), but the idea of a free online event caught a viral wind and we ended up having over 13,500 people register to attend. Every session delivered during the conference was shared by a DevOps practitioner. We had a simple rule for the conference and that was: no vendor pitches. People also told us that they valued having the chance to talk to other attendees they met at DevOps conferences, so we set up a free Slack channel for All Day DevOps. By the time conference was over, we recorded more than 10,000 conversations between the speakers, attendees and organizers.One of the things that fascinated us most about the conference was that organizations such as Accenture, Capital One, Ericsson, Oracle, Target, Telstra and many others had more than 20 employees attending the event. A few of these had hundreds. None of them needed to approve expenses for travel, hotels or conference fees. They just watched and joined in the conversations from their homes or offices. 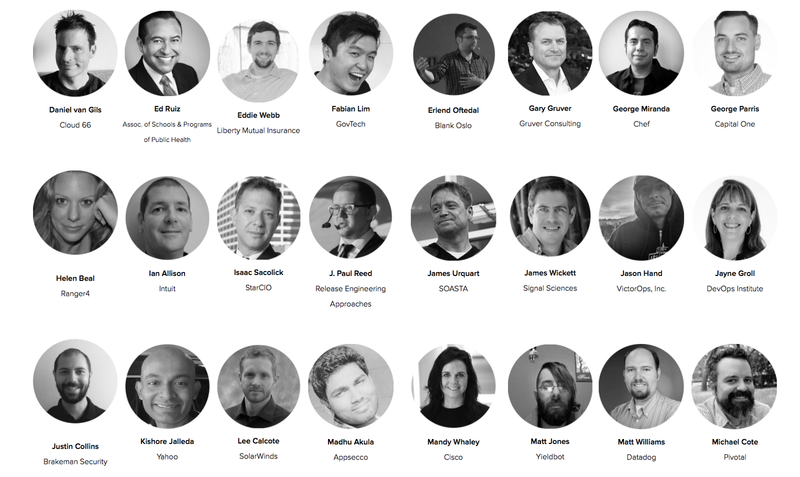 Here are some of the folks who spoke at last year’s event across our CI/CD, Modern Infrastructure and Automated Security tracks. This year, we have also added a DevOps in Government track to the agenda. The event was so successful, we set it on the schedule again. All Day DevOps 2017 will take place Oct. 24. It’s online, it’s free and this year’s event will run for 24 hours. Therefore, no matter where you live, if you have an internet connection, you will be able to tune in to join us. 1. You can register for free at www.AllDayDevOps.com. Invite your entire DevOps team to join. Everyone registering will have free access to all 57 recorded sessions from 2016. 2. The CFP is open through May 31. 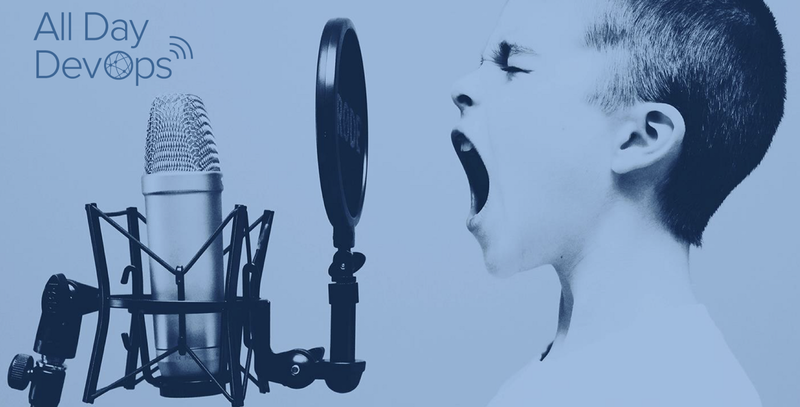 If you have a story to share, we want to hear from you. Remember, no vendor pitches are permitted. 3. All Day DevOps is a community event. Last year more than 40 DevOps meetups and software companies helped us spread the word. For those that helped, we added their logo to the site. Same applies to this year. Apply to be a supporter here. Please join us for this year’s event! 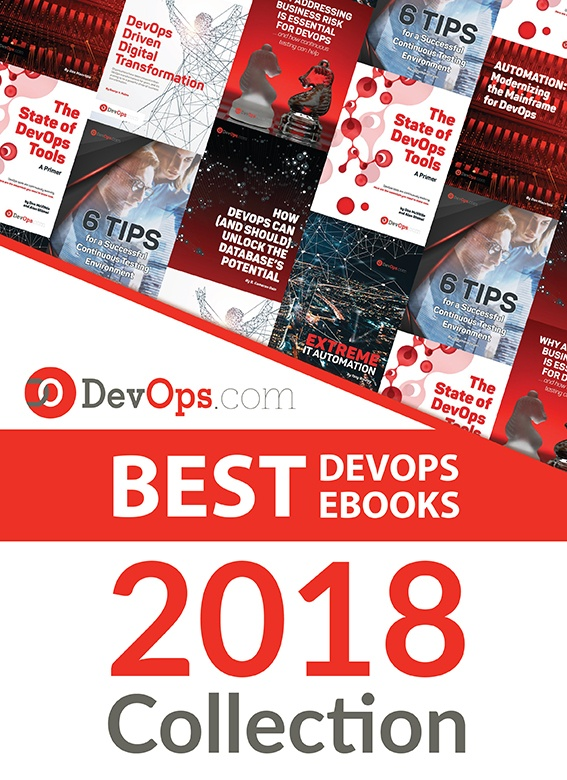 Finally, a big thank you goes out to DevOps.com, which helped us promote last year’s event to all of their readers. We are excited to have them helping us to promote the 2017 conference as well!